Prior to the latest events in Ukraine that have changed the country forever, very steady growth was a typical outlook for the national legal market. The period of foreign capital outflow was certainly quite a nervous one for lawyers. Even national heavyweights, traditional market leaders, put great efforts into holding their positions. Some teams gambled on new cooperation models and mergers, while others discovered new opportunities in the regions. In terms of the shrinking number of projects, legal marketing gained a new role as well as challenging objectives to ensure firms stood out from the crowd. 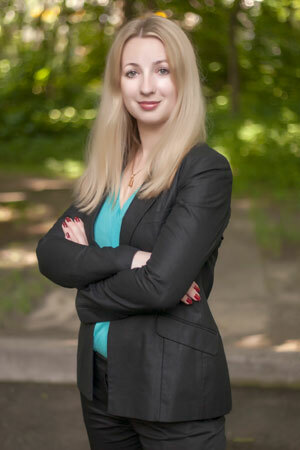 For more than a decade the editorial team of Ukrainian Law Firms. A Handbook for Foreign Clients has remained abreast of Ukrainian legal market developments as it researches the industry from inside. In a defining moment for the country, we assume that the Handbook acquired an exceptionally important mission to assist business with essential information gathered and compiled in one source. The introductory section, Ukrainian Legal Market, brought together key facts, trendsetters and relevant developments. The instantly changing situation in the country and the world’s reaction facilitated discussion on unavoidable consequences for law firms, arguing scenarios, prospects and solutions. Overall, Ukraine can offer a lot. Our contributors boosted the contents of Practice Areas and Industries Review with an in-depth vision of the fluid state of play. Who is Who in Ukrainian Law by Practice Areas and Industries comes in the form of a close-up market landscape that reveals its structure and nature of competition. As the legal business is very personalized, we traditionally present rankings for both law firms and practitioners. The state of the Ukrainian business lawyer market will continue to be an indicator of the country’s economic health. The year of 2014 turned out to be an extremely difficult one for all of us. And the ability to respond to this challenge will be revealed in the next Handbook.